Street Fighter 5 should have been a slam dunk home run. The long awaited fifth entry in the perennially popular fighting game series, with its gameplay refined to absolute pitch perfection. And yet the game is a total non entity in the larger gaming market (outside of the core fighting game community) at this point, simply because outside of the actual gameplay, Capcom eded up messing up everything else. There was a paucity of content at launch, as well as modes and single player features. If you were buying it, you better be a competitive fighter, or there was no point. 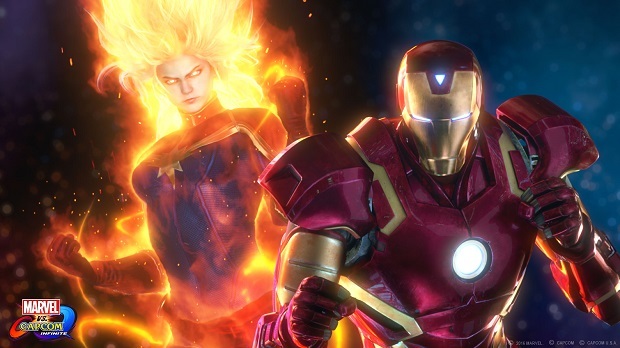 There is a lot of fear that Capcom will similarly mess up the upcoming Marvel vs Capcom Infinite. However, speaking to VG247 in a surprisingly candid interview, Producer Mike Evans contritely admitted that Capcom had learned from the botched launch of Street Fighter, and was looking to not make similar mistakes again. I mean, of course, these aren’t lessons that Street Fighter 5‘s failure should have had to teach them, you’d think this is common enough sense. But fine, I’m not going to harp on it because they’ve learned, and are promising that Marvel vs Capcom: Infinite will be better. Let’s hope it is.